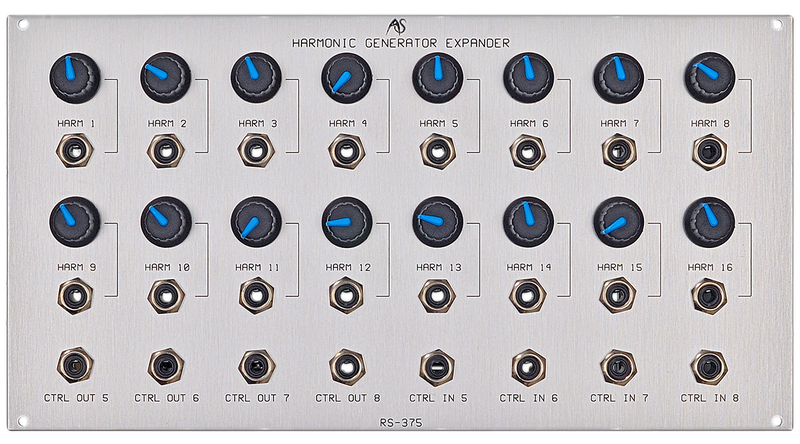 The expander module RS-375 for the polyphonic harmonic generator RS-370 is very recommended if you want to use the capabilities of additive synthesis. It allows you for controlling up to 24 harmonics in realtime via control voltages and 16 potentiometers for direct control. Alternately you can use it for control of envelope parameters. 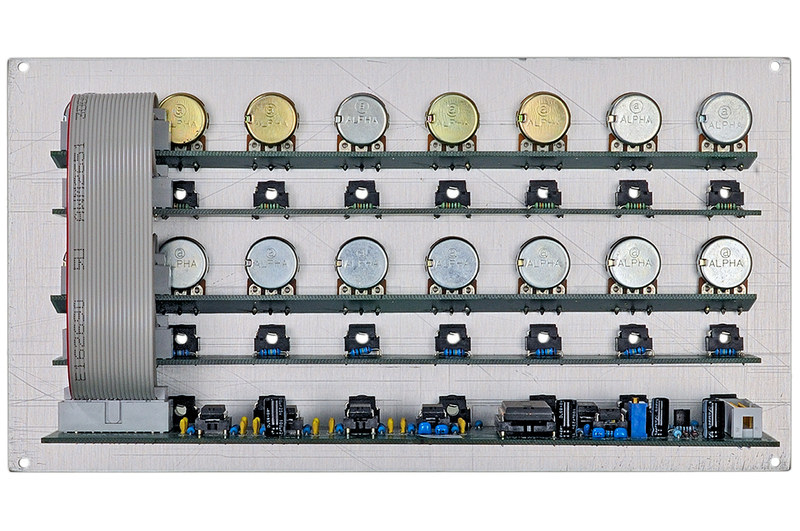 16 potentiometers for direct control of the level of 16 harmonics. Depanding on the mode chosen in menu 2.5 the first 10 potentiometers can be used to control the parameters of the multistage envelope i.e. times and partially the levels of attack, slope 1, slope 2, slope 3, sustain and release. 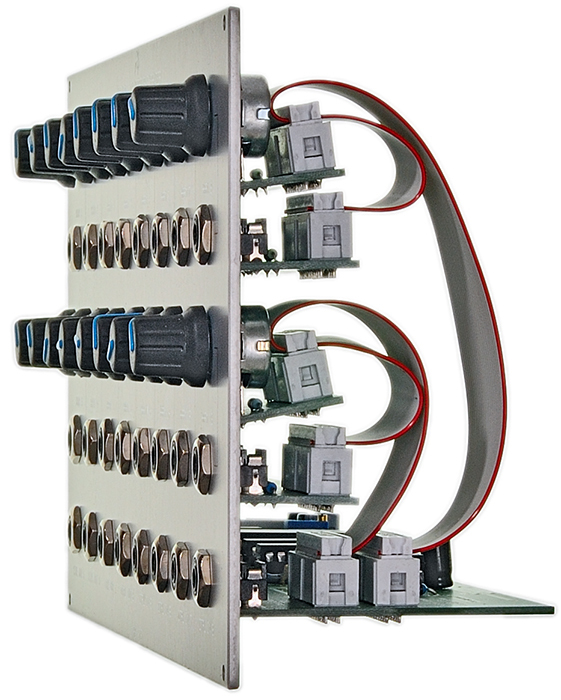 In addition you´ll find vier CV inputs for controlling a number of parameters and four Controller CV outputs. The latter make sense when you use the PHG as a MIDI interface and you want to output MIDI controllers as CVs. The expander is connected internally to the RS-370.